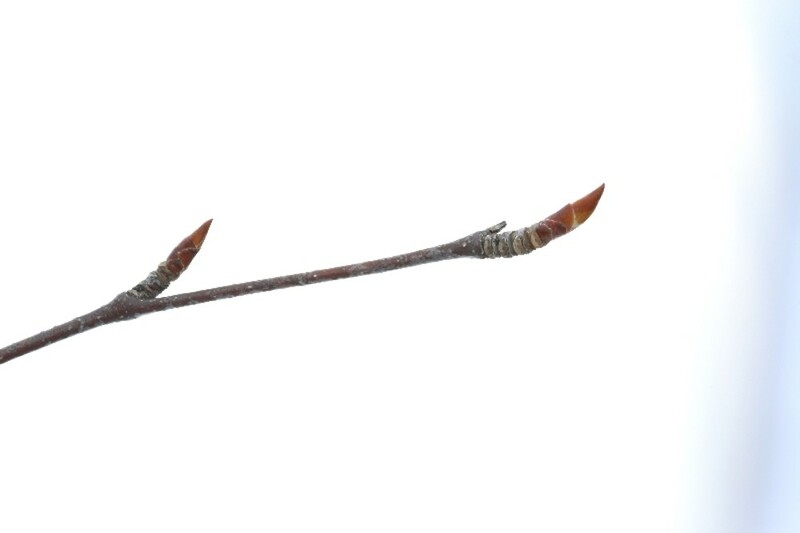 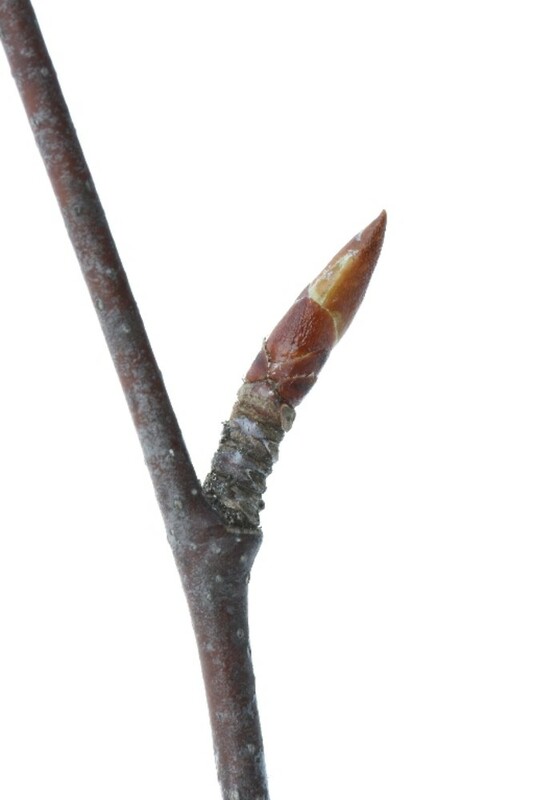 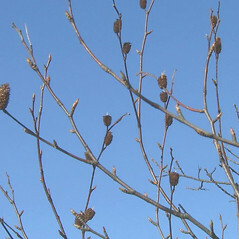 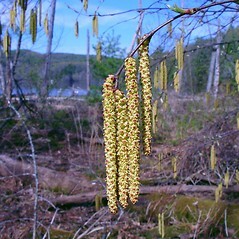 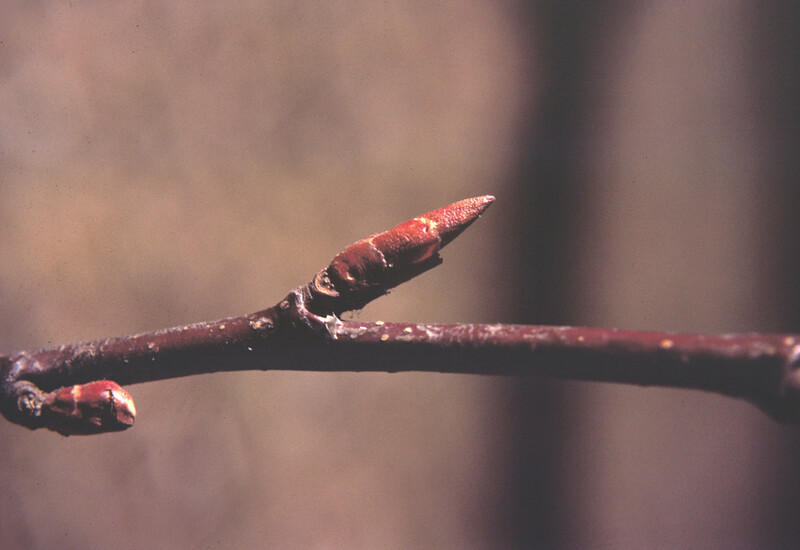 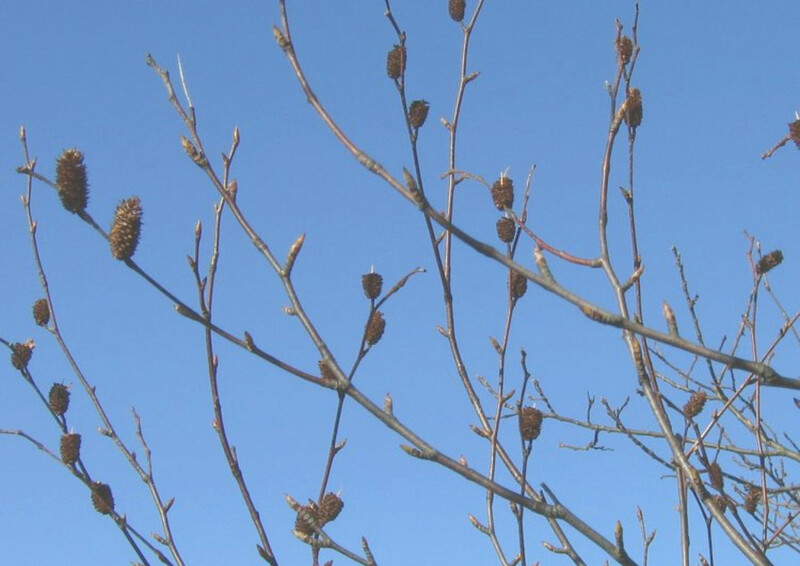 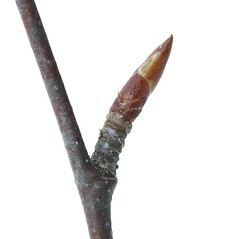 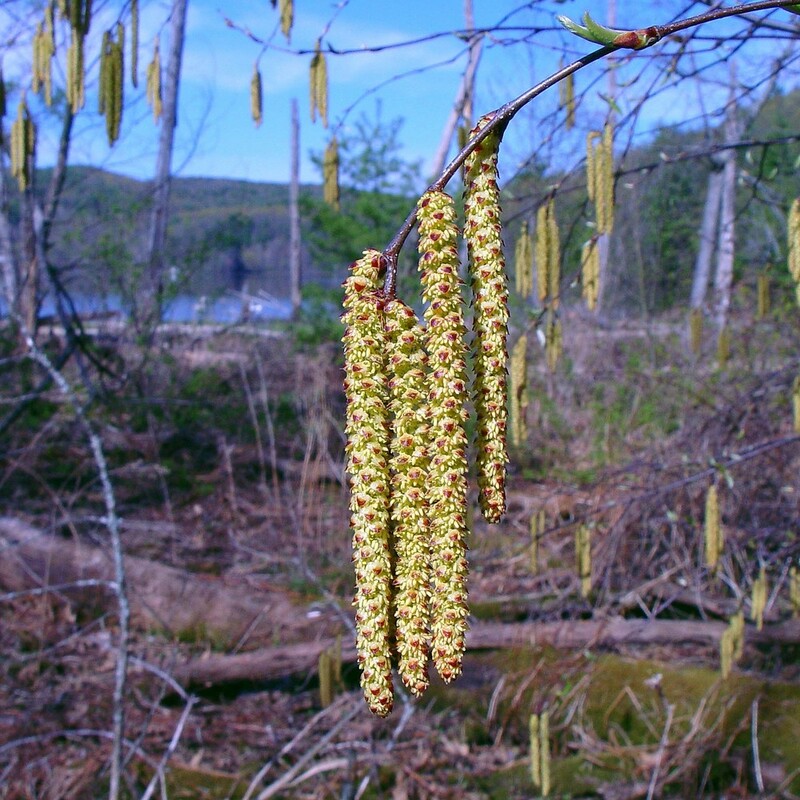 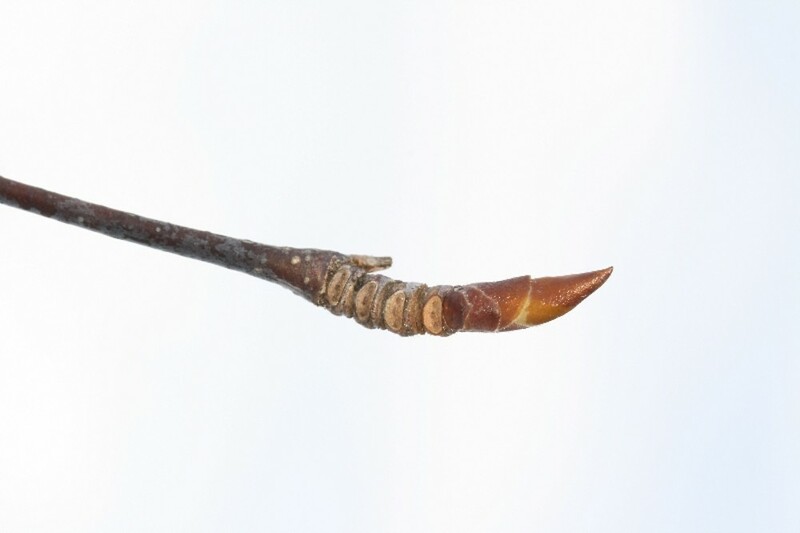 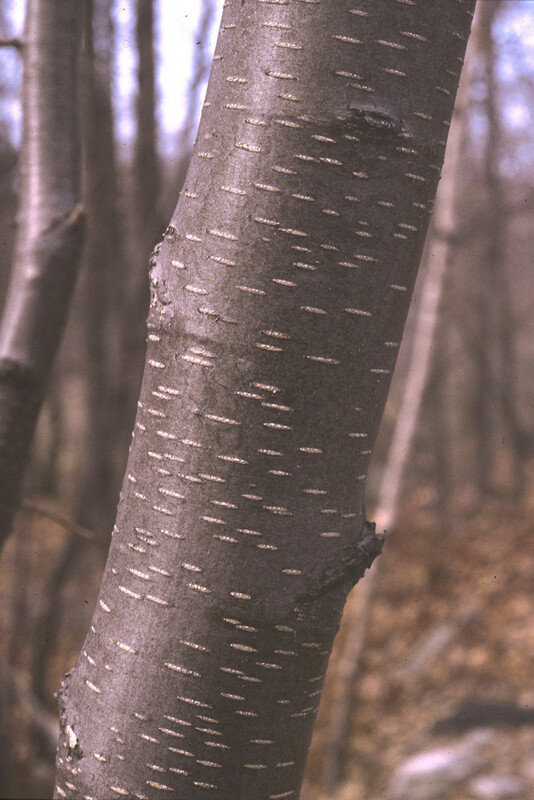 Cherry birch is also variously called black birch for its dark, shiny bark, and sweet birch for its wintergreen-smelling twigs. 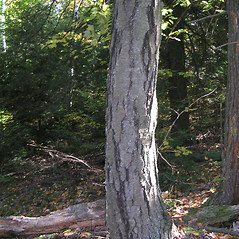 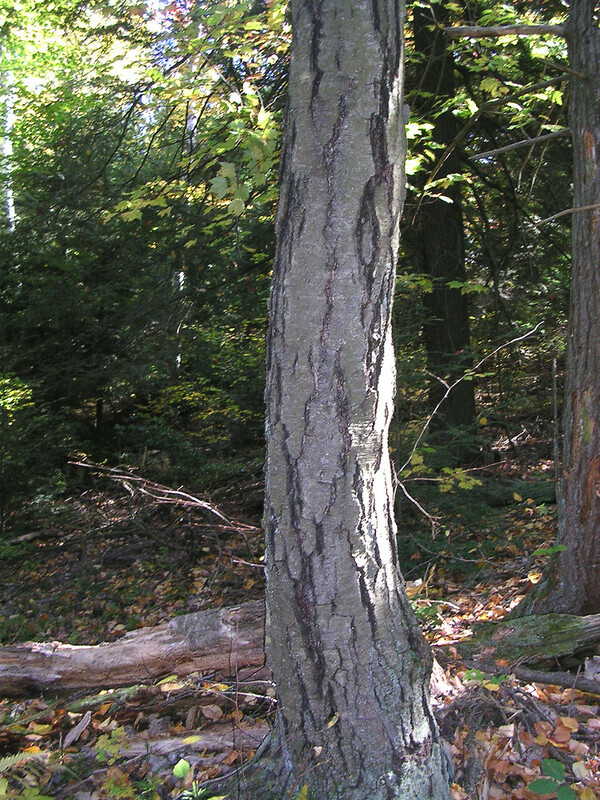 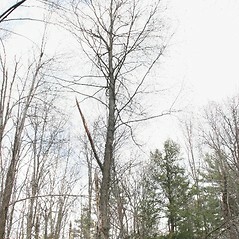 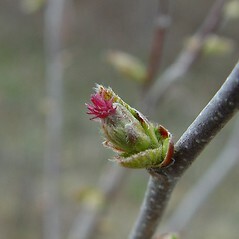 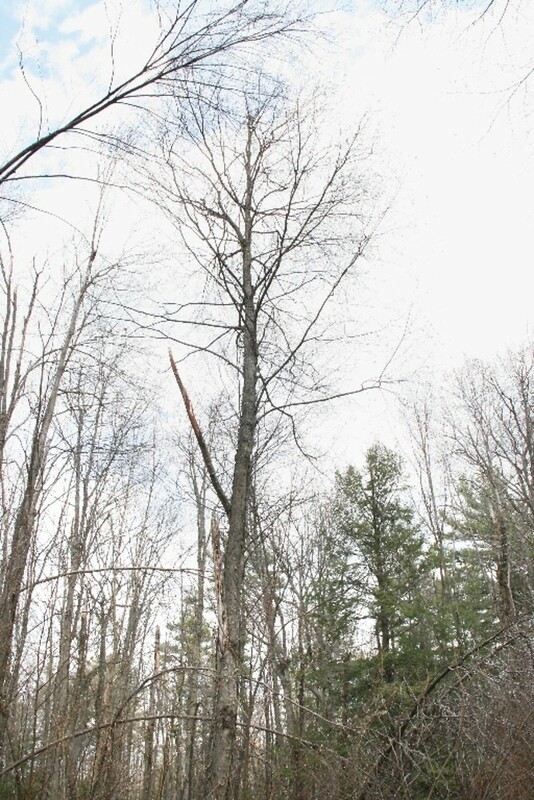 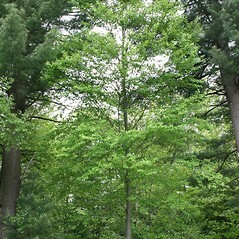 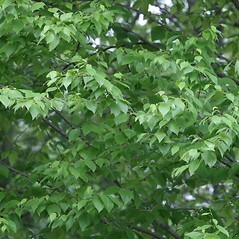 Saplings of this tree are often among the earliest colonizers of newly logged ground in southern New England. 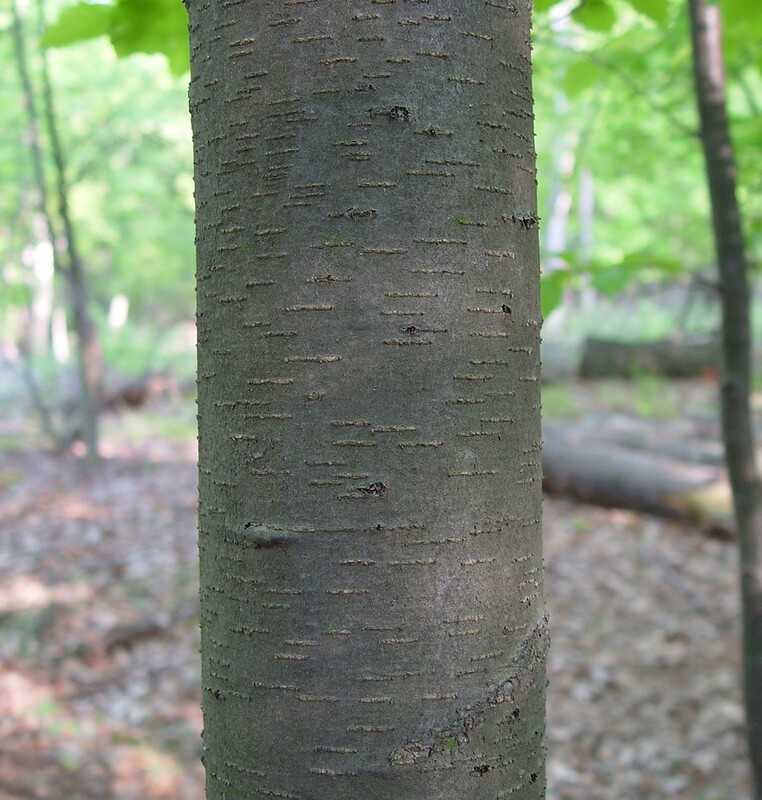 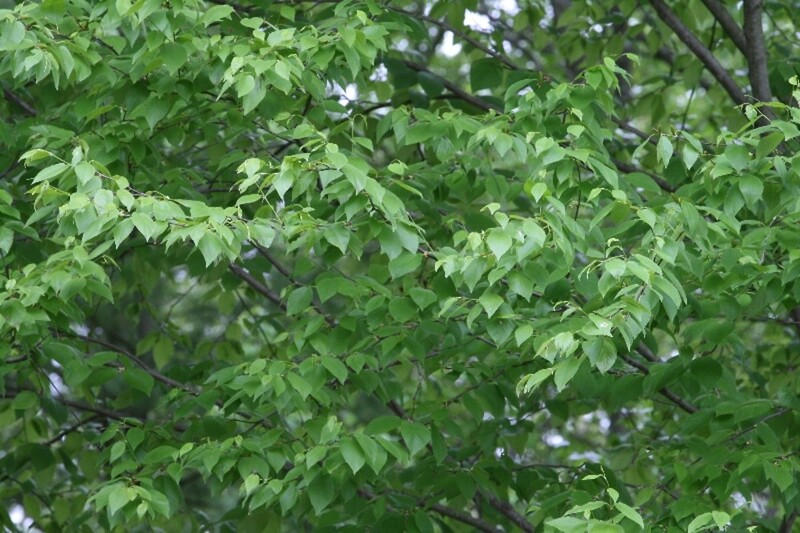 Once the source of birch beer and oil of wintergreen (methyl salicylate, a preservative and medicinal rub), this tree is now used primarily as a shade tree and occasional source of dark wood which is difficult to work but ages to a deep finish reminiscent of mahogany. 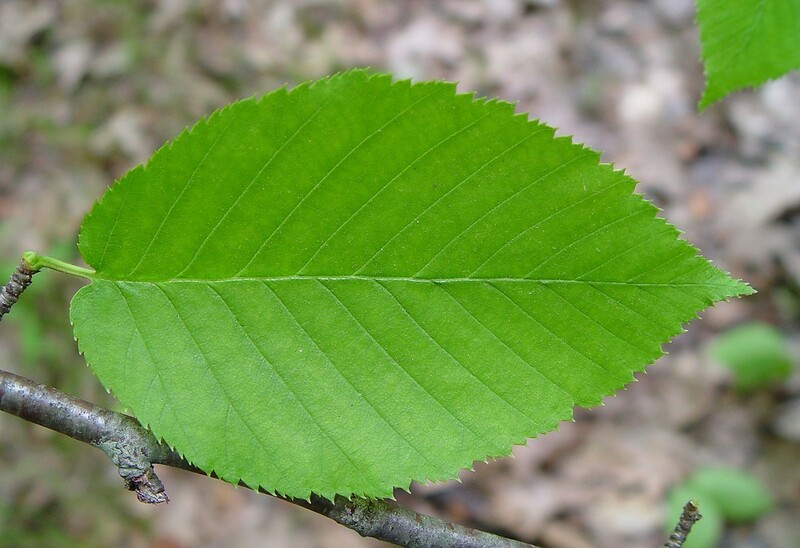 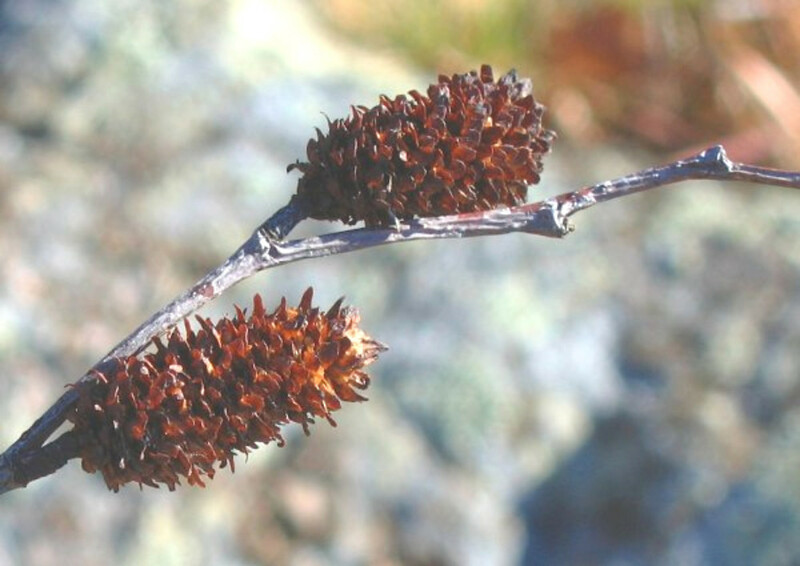 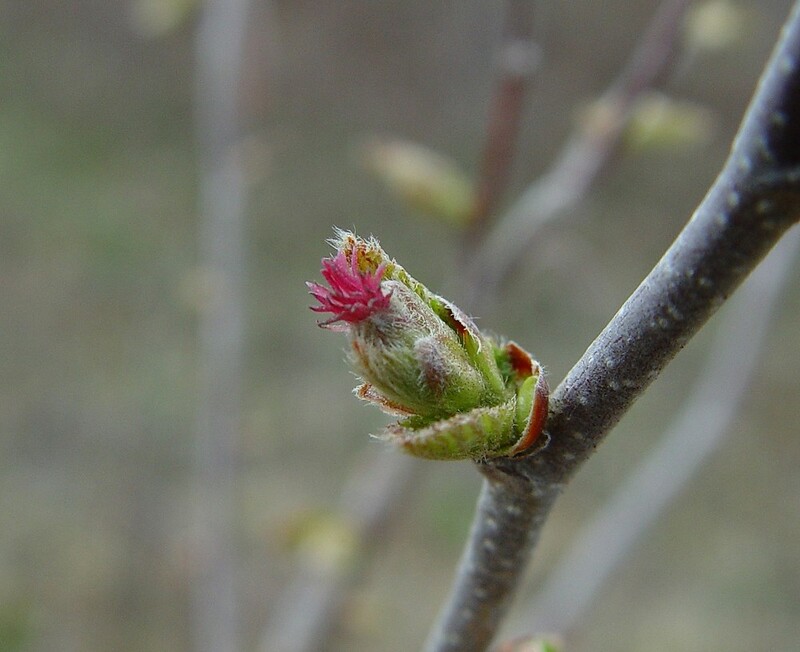 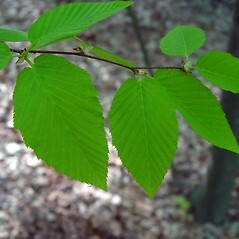 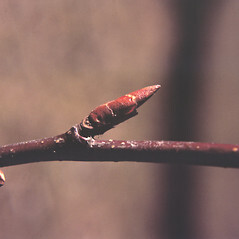 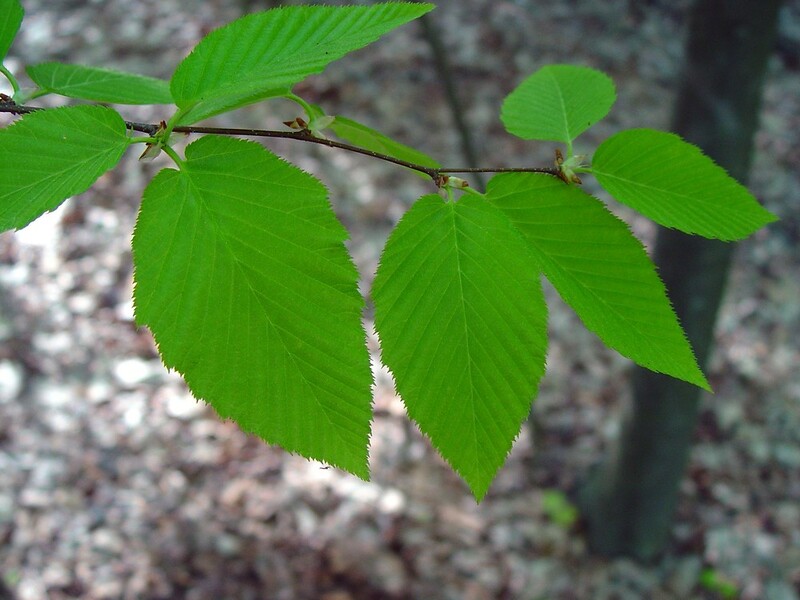 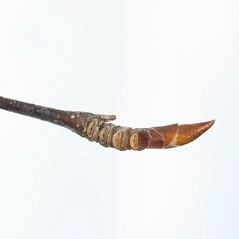 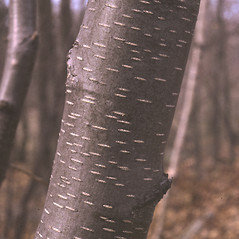 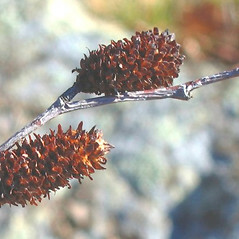 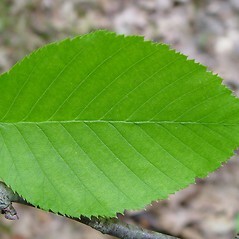 bark yellow to silver, exfoliating, and leaf blades coarsely and often irregularly serrate with fewer than 6 teeth per cm (vs. B. lenta, with bark brown, not exfoliating, and leaf blades finely and regularly serrate with usually more than 6 teeth per cm). 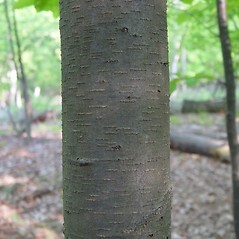 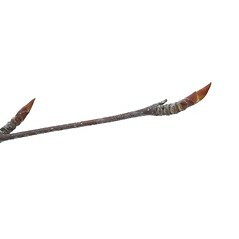 cherry birch. 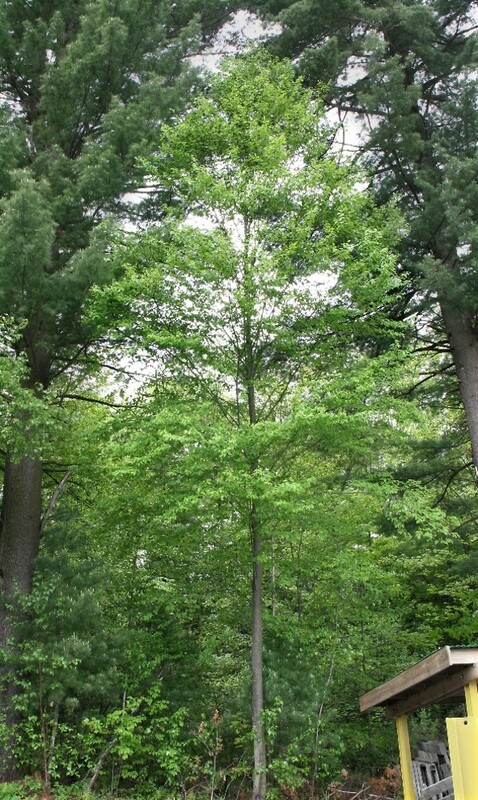 CT, MA, ME, NH, RI, VT. Deciduous or mixed evergreen-deciduous forests.